The moving project is very busy and will be even more so when the Natural History Museum closes the 1th of November. 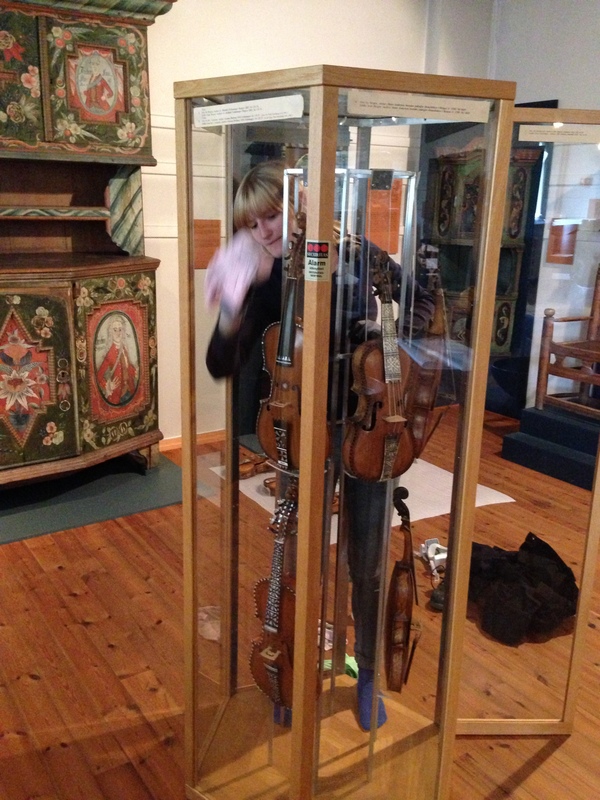 When the museum closes for renovation we have to move all the objects out so the builders can get in. November and December will be a busy time, but even though we are busy, we still have to find time for other things than moving. 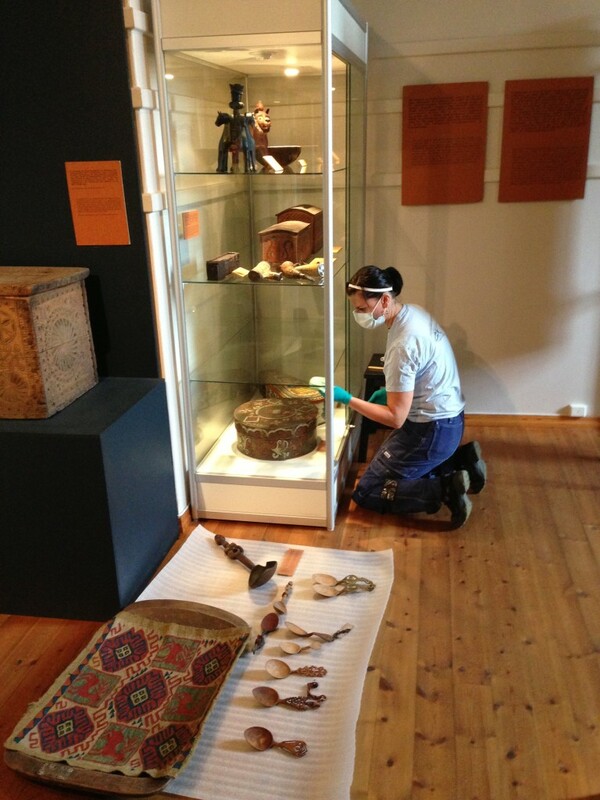 The last few weeks the whole conservation department has been hard at work in the Culture History Museum cleaning the exhibits. Vacuuming can be a delicate job. Cleaning exhibits is a very demanding job, since you have to clean all the glass (next time you go to a museum notice just how much glass there is!). The glass of cause has to be cleaned on both sides as well, which takes a lot of time. We have to move all the objects out of the display cases to clean the glass and the objects and then they all have to be moved back in their display cases again. 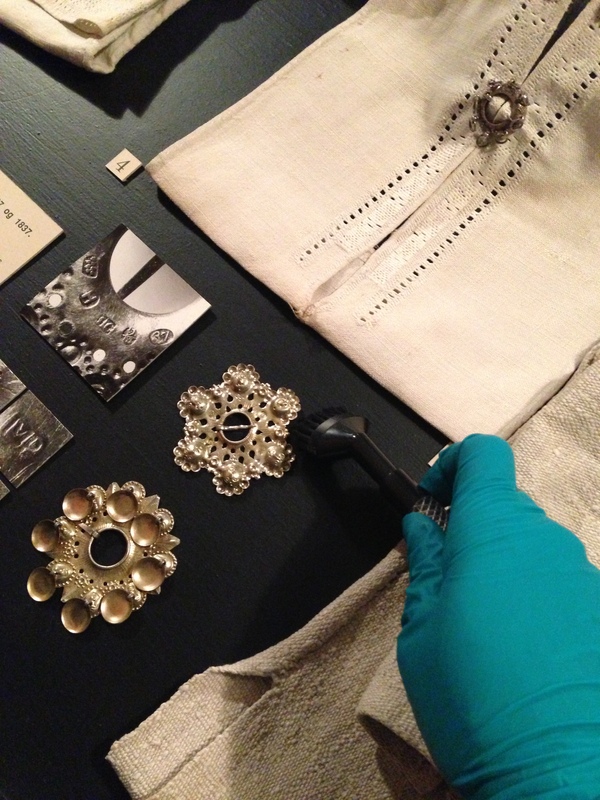 Cleaning glass, de-dusting, vacuuming, cleaning objects and polishing, all in a day’s work for a conservator! Objects moved out of display case.